Whether you are baking muffins, bread, cake or making pancakes, you can use this as an egg substitute. Many people have egg sensitivity or are vegan and can’t use eggs in their baking. This gelatine like liquid will work perfectly as a binder. It is important to use the exact ingredients do not use pre-ground seeds if you want best results. 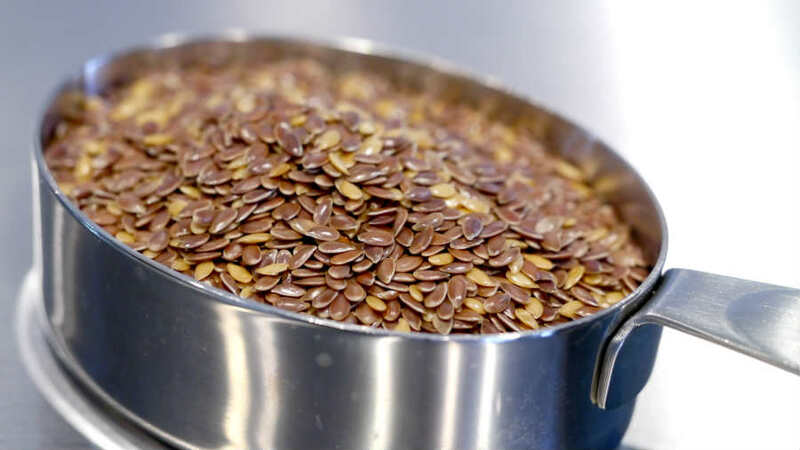 Flax seeds have a slightly nutty flavour, if you prefer no flavour at all use chia seeds. Place flaxseed or chia seed in a coffee grinder or high-speed blender such as bullet grinder and grind until it becomes very fine powder. Refrigerate for 20 minutes, it will become gelatin like liquid same as eggs.